We’ve hinted at a new build type coming to Questland. Learn more about it here! In Valia, there have been two types of Heroes: Warriors and Mages. 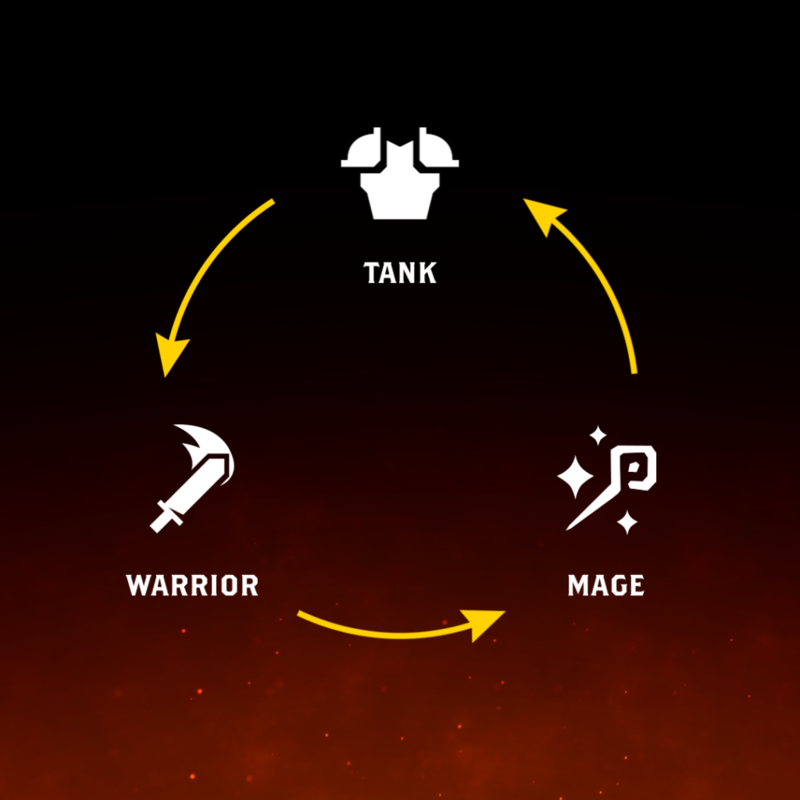 With the new Swords and Spirits update, we’re happy to say that we’ll be introducing a third type of build—Tanks. Balancing combat between two types (Warrior & Mage) is very difficult. We wanted to introduce a third type of build so as to create a more balanced combat triangle. Cue in the Tank! Tanks will create the third part of a rock-paper-scissors system that will completely change how you approach battles. There are now three parts to the combat balance of Questland. As you can see in the image above, Warrior beats Mage, Mage beats Tank, and Tank beats Warrior. Let’s go into more detail as to why the combat balance is this way. The battle begins and what you’ll notice is that Warriors will usually have a lot of HP and Attack but little Defense. Warriors will be able to out-preform a Mage by dealing more overall damage to the Mage than the Mage can do to the Warrior. The Mage’s Shield will take most of a Warrior’s attacks, but once it breaks, it’s all downhill from there. The Mage’s attacks are strong, but the Warrior’s HP should be higher than the total damage the Mage can do in battle. This means the Warrior is the victor of this match-up. Mages have average HP and Defense, but of course have a powerful Magic stat. What are the advantages to Magic attacks you might ask? Well, magical attacks ignore a large portion of the enemy Shield and go straight for their HP! Tanks boast a powerful Defense stat, meaning their Shield is very strong, but a Mage will not care what their Shield is. The magical attacks will bypass the Tank’s strong Shield and kill the Tank before the Tank can kill the Mage. This means victory for the Mage. Tanks have an okay HP stat, but where they shine is in their Defense stat. A Warrior’s attacks will mostly hit the enemy’s Shield, meaning they’re going to be hitting a huge wall before they ever get to the Tank’s HP. A Tank build will be able to sustain enough Warrior damage and deplete the Warrior’s HP before being killed. This means victory for the Tank. How Do I Become A Tank/Warrior/Mage? 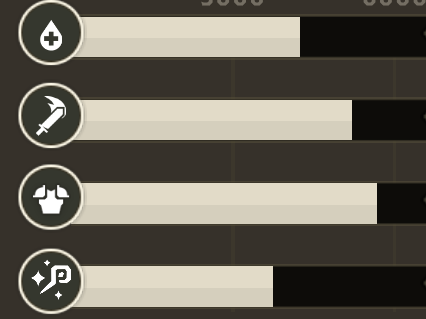 This means be aware of the stats that each Gear piece gives. You know that Tanks depend on Defense, so wear Gear that gives high Defense. 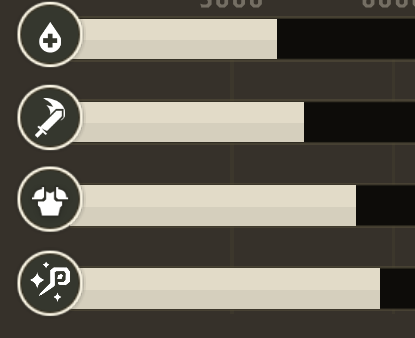 Like current Questland, have the right Gear in collections and reforge the appropriate stats for your Gear, depending on what build you’re going for. Use Talents that will take advantage of your Hero class OR disadvantage your opponent’s setup. If you’re a Tank and know you will be fighting a Mage, it makes no sense to use Talents that will make you a stronger Tank (since Mage beats Tank). Instead, you’ll want to use Talents that disadvantage Mages such as Talents that lower the enemies Magic stat or take away blue spirits. Use MH & OH weapons that will help you in battle depending on your class/setup. Similarly to choosing the right Talents, you’ll want to choose the right weapons that will either give you an advantage in battle, or disadvantage your opponent. Highest stat is Attack, so good for Warriors. 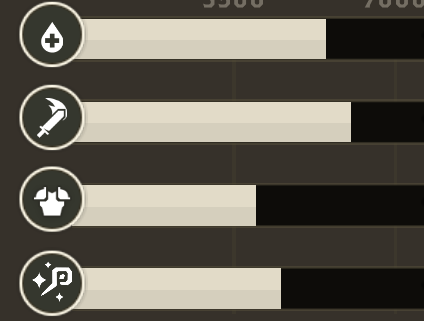 Highest Stat is Defense, so good for Tanks. Highest stat is Mage, so good for Mages. Of course, you are free to experiment with all sorts of ratios and setups, so we hope you have fun experimenting when the new update is released! Parallel to the new Tank build, we will also be making changes to how Collections and other aspects of the game will work, allowing you to create more than one powerful build. These future changes will allow you to switch between builds easier than ever. More on that very soon! A New build means 3 new sets by cycle? 1-when is the new gameplay coming? Hello. The update is going to be coming in the second half of April. As for Reforge Points, it doesn’t matter if you use them now or later!